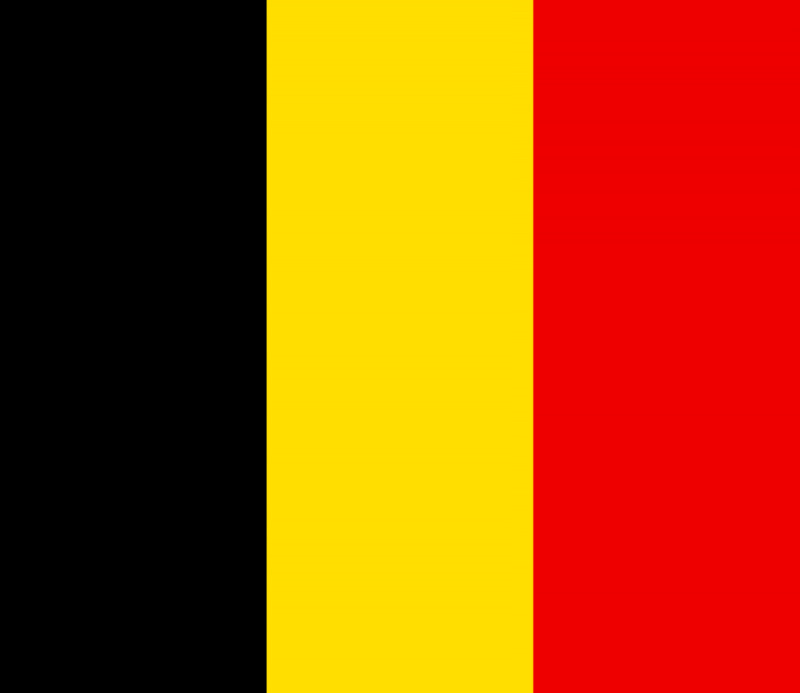 The Belgium Government adopted its third NAP for the period 2017-2021. The drafting of this third NAP was coordinated by the Institute for the Equality of Women and Men and the FPS Foreign Affairs, Foreign Trade and Development Cooperation. The NAP was also developed in collaboration with the Ministry of Defense, the FPS Interior and the SPF Justice, in consultations with civil society. Belgium originally launched their first National Action Plan of UNSCR 1325 on 8 May 2009 for the period 2009-2012. The second revised Belgium National Action Plan was launched in 2013 for the period of 2013-2016. Overall, the Belgian NAP is very unique in terms of its organisation. It is structured into chapters by objectives. Each chapter contains background information, guidelines and a list of actions with subsequent indicators. Before going into each priority area, the NAP lays out the national, regional and international normative and legal frameworks governing issues related to Women, Peace and Security. Belgium is currently involved in the military intervention against ISIS/Daesh, as well as in the Democratic Republic of Congo and in Mali. Prior to that, it was involved in the 2001-2014 war in Afghanistan and in the 2011 military intervention in Libya. Belgium is also a key contributor to UN peacekeeping missions, NATO forces, as well as development aid and humanitarian assistance. The NAP focuses on three target countries, Burkina Faso, the Democratic Republic of Congo (DRC) and Mali, stating that coordination between departments will provide the opportunity to deepen the experience with this NAP and continue to apply it in these countries. Putting in place the NAP and monitoring in these countries may provide an example to implement UNSCR 1325 in other countries. By adopting the NAP, Belgium reaffirms its commitment to improve the participation of women in prevention and resolution of conflicts and to take the necessary measures for the protection of women and girls before, during and after conflicts. The NAP focuses on what Belgium can do internally and externally (for other countries) to advance women’s participation. However, the NAP, while referencing the impact of armed conflict on women, does not offer any specific actions for disarmament and arms control, including monitoring mechanisms for assessing the impact of arms proliferation on sexual and gender-based violence (SGBV). The NAP offers no specific framework for monitoring of the NAP implementation, does not have a timeline, does not give financing specifics and does not refer to specifics concerning civil society. WILPF International does not have a country section in Belgium and therefore was not involved in the development process of Belgium’s NAP. The NAP was submitted to civil society for consideration at a consultation meeting organised by the FPS Foreign Affairs, Foreign Trade and Development Cooperation. This NAP does not fully recognise the hard work of civil society. The NAP does state that consultations with external actors, including civil society and local women's organizations, is necessary in order to better identify their needs and priorities and to find greater support for peace initiatives proposed by women. While the importance of consultations is mentioned, there is only one goal (Objective 6, Goal 35) that demonstrates Belgium’s want to act in this regard: “Inform and involve civil society. Ensure the exchange of information, gender expertise available in Belgium and consultations with civil society, at least in the middle and at the end of the period covered by the NAP”. Indicators include: “Organization of two reporting and consultation events. Number of civil society organizations involved”. Civil society does not have an important role in the monitoring and evaluation process. The drafting of this third NAP was coordinated by the Institute for Equality of Women and Men and the FPS Business Foreign Trade and Development Cooperation, in collaboration with the Ministry of Defense, the SPF Interior and the SPF Justice. At the federal level, there is a gender mainstreaming law that requires all administrations to integrate gender within its politics, measures, budget preparations and actions. Every intervention must integrate gender. The framework for implementation of the NAP comprises of several parts. The NAP contains six objectives, each of which contains several goals, action steps and indicators. Each department mentioned is responsible for specific goals, action steps and indicators. These include: Affaires Étrangères (Foreign Affairs), Développement (Development), Défense (Defense), Intérieur (Interior), Justice (Justice), Égalité (Equality), Intérieur-OE (Interior OE), Intérieur-CGRA/OE (Interior CGRA/OE), Intérieur-Fedasil (Interior-Fedasil) and Intérieur-POLFED (Interior-POLFED). For example, Objective 3, “Fight against all forms of violence against women and girls, and more specifically sexual violence”, contains the goal “Impose on Belgian peacekeeping forces zero tolerance on violence against women”. The action is “Prosecute perpetrators of sexual violence in the defense department”, and the indicator is “Ratio of the number of complaints to the number of prosecutions. Ratio of the number of prosecutions to the number of convictions”. The department in charge of achieving all of this is the Defense Department. There is an annual report submitted to the Parliament, which gathers information about the actions carried out during the previous year, so the Parliament can stay informed of the progress achieved and to ensure regular monitoring of the NAP. Objective 6: Assure that the Women, Peace and Security Agenda and the NAP are followed and monitored. Action 1c: Call all countries systematically to subscribe and respect the conventions that ensure the rights of women. Action 3c: Advocate for the mention of health and sexual and reproductive rights in international agreements. Action 4d: Call on all countries to apply the broadest definition of sexual violence. The implementation period for the National Plan of Action of Belgium is five years (2017-2021). There is no total cost of the NAP implementation mentioned in this NAP. The implementation of the NAP mentions various government sectors in terms of funding Women, Peace and Security. The NAP calls for using all financial means set aside for international cooperation should be used in a way that supports women’s empowerment. The NAP does not elaborate on plans, strategies or mechanisms to ensure activities are funded within departmental budgets. However, the Belgium NAP notes that they have existing gender-sensitive budget requirements under its federal legislation. No indicators or actions are included that formulate strategies for sourcing increased funding, detail what level of funding is required for which specific activities, or what accountability mechanisms will ensure funding is raised and used in implementing the NAP. Indicator 1c: Interventions made. Calls in the context of policies and agreements concluded. The revised Belgian NAP includes the names of departments responsible for the implementiation of the lines of action. While the indicators may also count as monitoring and evaluation mechanisms, there is no specific monitoring and evaluation framework offered in the NAP. In 2010, Civil Society was charged with evaluating the NAP in cooperation with the government. In the new version, evaluation bodies are not clearly defined. The NAP, while referencing the impact of armed conflict on women, does not offer any specific actions for disarmament and arms control, including monitoring mechanisms for assessing the impact of arms proliferation on sexual and gender-based violence (SGBV).